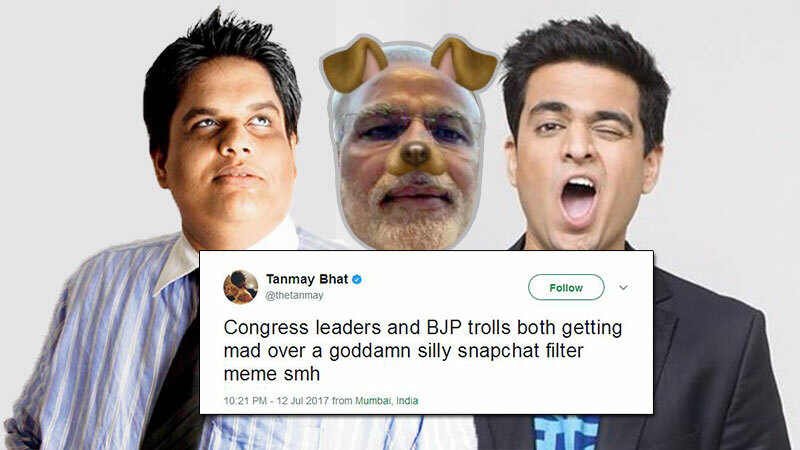 The All India Bakchod gang is in trouble for an allegedly offensive Prime Minister Narendra Modi meme. 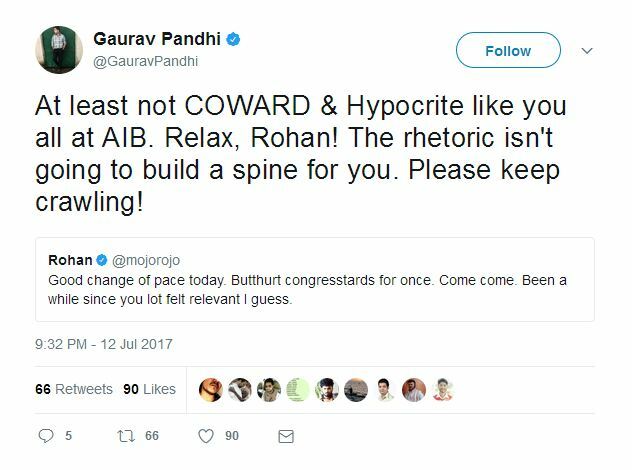 All India Bakchod and Controversy are two things that have gone hand in hand for a while now, and the two do not appear to be parting ways anytime soon. 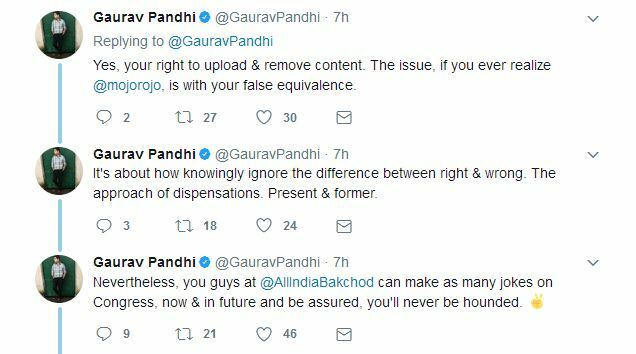 So, lets get things straight first by disclosing the meme in question that has led All India Bakchod to be at the centre of controversy. 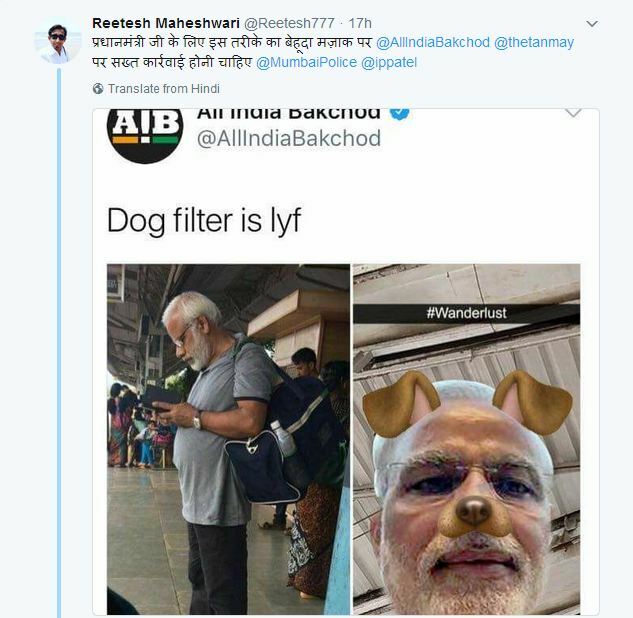 It all began with Narendra Modi’s doppelganger who was photographed at an undisclosed railway station and as is their habitual activity, AIB created this meme out of it. While some social media users found the meme hilariously entertaining, it was obviously going to and did offend the more conservative Narendra Modi supporters, followers and fans. 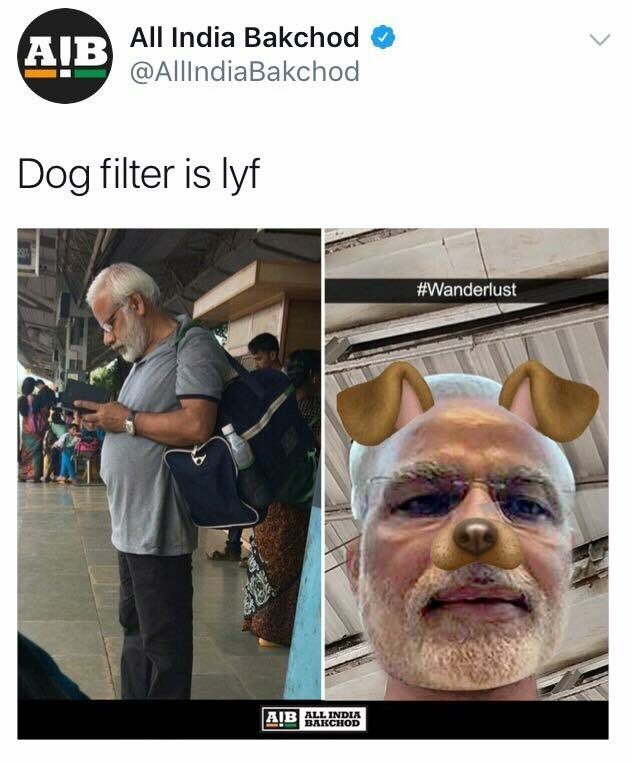 Now the Snapchat ‘dog filter’ has been a consistent mainstay on the platform as other face filters came and went. 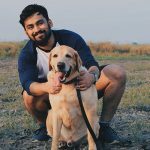 Millennials confess to a persistent affection towards the filter and AIB may have thought it would seem amusing to the Indian social media janta. Ah, the naivety. 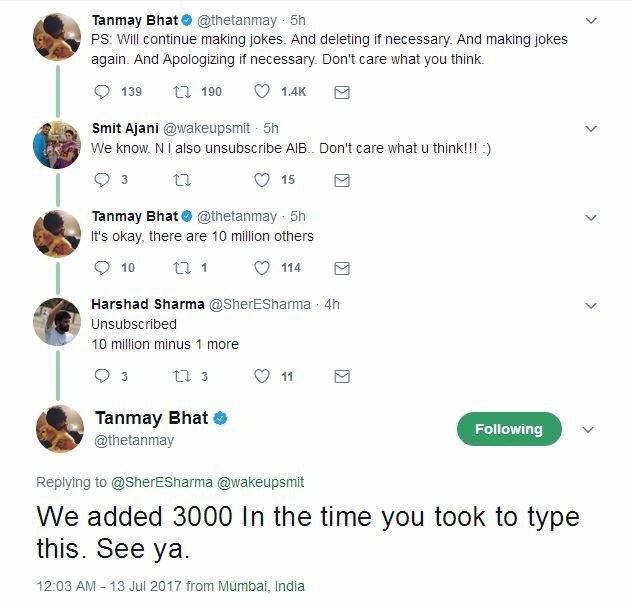 Well, as things unfolded, some Twitter users reported the allegedly offensive meme to the Mumbai Police since it is probably their jurisdiction considering AIB are from around Mumbai. The Mumbai Police Twitter account responded in the affirmative, saying they had taken note of it and forwarded it to the cyber police station. 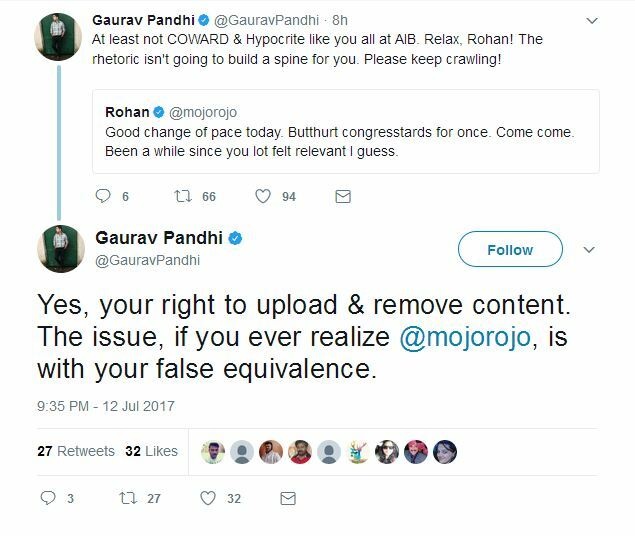 On the other hand, All India Bakchod members Tanmay Bhat (ex Snapchat controversy champion) and Rohan Joshi have been engaging in a Twitter spat with many detractors who are calling for their arrest, apology, boycott, Twitter account suspension, and what not. .
Rohan Joshi seemed prepared for the backlash as he pinned this tweet to his Twitter account. 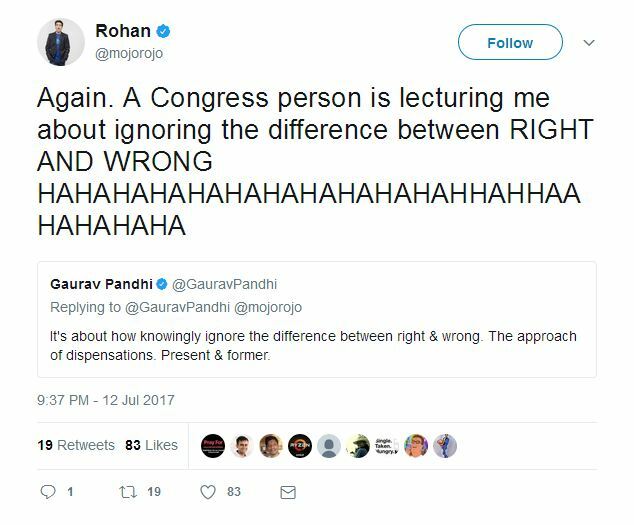 And for some reason was embroiled in a spat with a Congress representative after they deleted the meme due to the severe backlash. 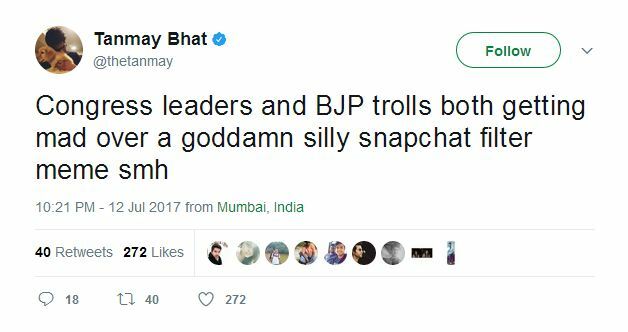 Tanmay Bhat may have gotten tired as he appeared to bemoan the perceived lack of sense of humour. Do you think the public outrage against All India Bakchod was correct or do you think they went too far with their meme about Prime Minister Narendra Modi? Let us know in the comments or write to us at team@socialsamosa.com. BMW Motorrad appoints DigitalF5 as its marketing agency in India.